Working from home can be brilliant: It’s cheap, flexible and you’re in a comfortable, familiar environment. 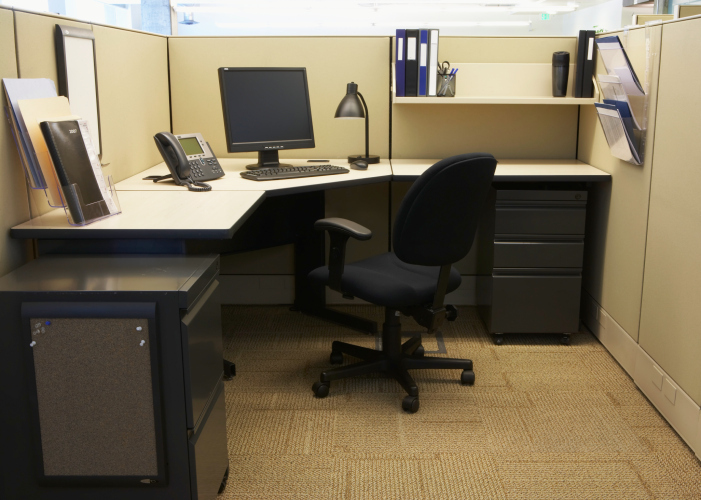 However, there comes a time when you might want to consider moving out into some external office space. The long term commitment involved in leasing property from a landlord can be somewhat off-putting and no-one really wants to spend time and money managing an office. Well, good news! Co-working schemes are on the rise and they can really benefit a small business for a number of reasons. Staring at the same four walls of your home office every day can be a real drain on inspiration. Co-working offers a change of scenery that could provide the spark of creativity you need to continue driving your business forward. It can also offer a really dynamic environment, often boasting some of the most innovative people. One of the benefits of being surrounded by innovative thinkers and creative geniuses is that you have a whole host of new opinions to offer feedback on your ideas. Co-working offices are perhaps the best place to get genuine constructive criticism and maybe an idea or two that you hadn’t even considered before. What’s more, you will be exposed to a network of different ventures all of which boast their own network of contacts. Co-working can be a great way to build some really great connections. The person working next to you may become a colleague, an employer or even a client some day! Having your own office can be great, but if you are a small business the lease terms can be rather inflexible, while having to manage an office yourself can use up your valuable time. In contrast, if you were to rent desks in one of these shared spaces you would get everything you need provided for you for a single monthly fee. Contracts are often rolling month-to-month affairs; affording you all the flexibility you may need in a tricky period for many businesses. Of course there are downsides to going co-working. You won’t have any control over the office or the people you work with, so there can be no guarantees you will be in a quiet environment or sat next to a person with whom you get along swimmingly. Of course negative cases such as these are in a real minority. There are also a couple of security issues: you will be sending potentially sensitive data through a shared network and won’t get to lock your own premises at the end of the day. If these sound like they could be potential problems, co-working may not be your best option. But the beauty of such flexible contracts mean you can give it a try for a while and leave swiftly if it’s not for you! Peter Ames writes for Office Genie, a UK site where you can find serviced offices as well as shared and leased space.